During my three decades as a corporate executive and professional coach, I have realized that the most important skill for professional development and growth is honest and objective self-awareness. Understanding our strengths, development opportunities, blind spots and leadership derailers is essential to achieving our career goals and objectives. Self-awareness is having a clear perception of your personality, strengths, weaknesses, thoughts, beliefs, motivations, and emotions. 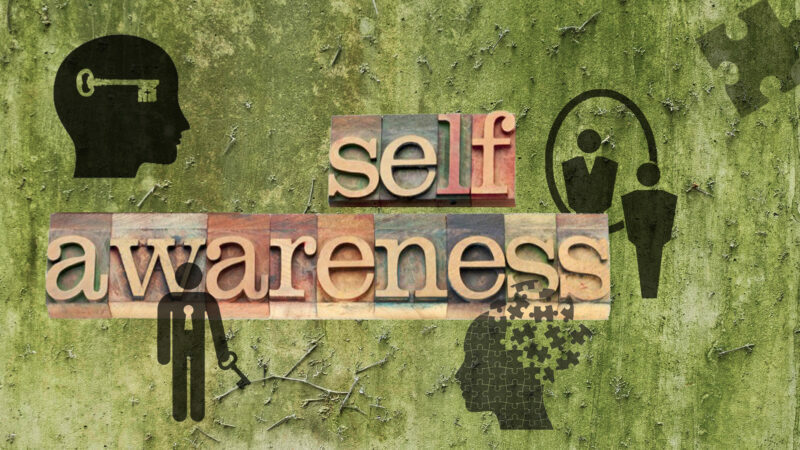 Self-awareness allows a person to understand other people, know how they are perceived, and be aware of their attitude and their responses to others in the moment. Honest and objective self-awareness is important because we are not always in tune with the skills that need developed, which makes us at risk for stalling our careers. Lack of self-awareness can lead us to focus on the wrong skills. Sometimes we focus our development efforts on the easy stuff. “Executive presence,” “presentation skills” or “networking” are common skills that people put on their list of development opportunities. These might be the right skills to work on, but they are likely not the things that keep us from achieving our career goals. Whatever is holding us back is typically something much more critical and difficult to improve. When I coach individuals, I have a discussion with them about their “skills inventory.” Prior to conducting a formal skills assessment, I ask them to identify which skills they leverage for their performance and which ones they feel need further development. This helps set a self-awareness baseline. Once we complete the skills assessment phase, I ask them to compare the baseline to the skills assessment results. It is rare for the two lists to match. A reason for the mismatch is that some people focus more on those things that can be learned through traditional learning mechanisms and much less emphasis on the skills that are core elements of their personality. Said differently, they tend to overlook their “DNA” and focus on those things that are more tangible. People around them, however, notice the former rather than the latter. I had my self-awareness “aha moment” when my career plateaued, and my developmental progress stalled. I came to realize what my development opportunities were, and I understood what I needed to focus on to regain my growth trajectory. I figured out that it wasn’t the things I had to learn through experience or education, but rather the things that were building blocks of my personality. My DNA! These were behaviors I had to learn to control. In some cases, these were skills that I leveraged for my success, but that when used incorrectly or at the wrong time were detrimental to my career progress. When I became a professional coach, I had to come to terms once again with the skills and behaviors I needed to develop in order to improve my coaching effectiveness. I spent a lot of time studying and reflecting which areas needed improvement. I then created a series of actions to help close the gaps. How aware am I of the areas that I need to work on? Am I being honest with myself about my development opportunities? How conscious am I of my blind spots or my career derailers? Am I trusting my own opinion too much and should I broaden my sources of input? Should I seek help from a coach or mentor to help me “diagnose” my areas of opportunity? Going through this process was difficult but very rewarding. I felt comfortable proceeding to the next step once I embraced the skills and behaviors that I needed to improve. Leverage reliable personality type and trait assessment instruments to get a good idea of who we are. Utilize historical performance evaluation information to understand what our past leaders have said about us. Conduct and analyze a 360-degree feedback survey to add valuable insights from the people around us. Employ a coach that can help interpret test and survey information and help determine our areas of opportunity. Be honest with yourselves and embrace the information. Leverage it to drive change. There are consequences to ignoring development areas. People that are not fully aware of their gaps will often be frustrated by lack of advancement, reach a performance plateau in their career, and stall their growth. Becoming self-aware of our strengths and development opportunities is a great first step in improving performance and achieving career goals and objectives.